Therefore, the tax rate on long-term capital gains for high income individuals will be 23.8%, and the tax rate on qualified dividend income will be 43.4%. These tax increases will drive down after-tax proceeds to business owners selling their businesses. Additionally, these tax increases will also likely affect deal terms and transaction structures. For example, sellers traditionally have preferred to sell stock, and purchasers have preferred to purchase assets instead of stock; however, assuming the Bush Tax Cuts expire, business owners will likely be even more predisposed to sell stock because a sale of stock will be even more favorable to sellers from a tax perspective than under the current tax rate structure. Business owners considering a sale of their business should consider how the potential expiration of the Bush Tax Cuts will affect their after-tax proceeds if they sell their business this year versus in the near future. Currently, there is little expectation that Congress will act before the election this fall. After the election, there are expectations that Congress and the President will address the expiration of the Bush Tax Cuts by either passing comprehensive tax reform, extending the current Bush Tax Cuts for another year, or finding a middle ground somewhere between the Bush Tax Cuts and the tax rates that would be effective if the Bush Tax Cuts expired. The political climate is unpredictable and, given the large deficits the United States government is currently running, many commentators predict some form of tax increases on capital gains and dividends. Although taxes are just one of many factors to consider in selling a business, meeting with your advisors to plan exit strategies, liquidity events, and other strategic matters can help maximize after-tax proceeds from all of these events. For example, in addition to the potential sale of a business, there are other tax planning strategies business owners should consider, including taking excess cash out of the business in the form of a dividend before the Bush Tax Cuts expire. For business owners thinking about trying to sell their business in 2012, time is of the essence. The sale process from start to finish usually takes around six months. Thus, to maximize the chances of closing a transaction in 2012, the initial steps would ideally be in motion no later than the end of the second quarter. Further, due to the pending tax law changes and the other factors mentioned above, there is a general consensus that there is likely to be a flurry of mergers and acquisitions ("M&A") activity in the second half of 2012. Business owners who wait too long are likely going to, at a minimum, suffer some erosion in value because buyers may be preoccupied with other deals, may have already used up their cash, or may just use the tax motivation of the seller to their advantage in pricing deals. It is also noteworthy that valuations have increased as the debt capital markets are stronger— there are record amounts of undeployed capital and confidence in the economy is improved. 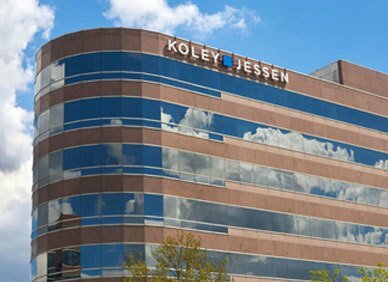 The Koley Jessen Mergers and Acquisitions Practice Group successfully served as legal counsel to over 50 M&A clients in 2011, successfully closing 54 deals. Our team serves the middle M&A market: of those 54 deals closed, 37 deals had a purchase price under $10 million, 10 were deals between $10 million and $100 million, and 7 were deals over $100 million. We feel that our experience, which also covers a broad spectrum of industries, can be very helpful in assisting a business owner through what is often their first experience with the sale of a business. If you are considering the sale of your business, or know of anyone who may be interested in learning more about the sale process in general, we would be more than willing to offer an informational meeting on a complimentary basis to discuss the sale process and available options for structuring a sale. We take great pride in trying to add value before and during the exit planning process, and have found that these informational meetings do just that. Please feel free to contact any of the members of our Koley Jessen M&A Practice Group for further information and assistance.